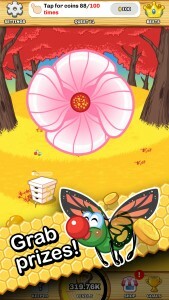 Here you should find any info you might need to get more informed or post articles about Honey Beellionaire. If you need any additional information or would like anything provided in a different format, let us know and we’ll make it happen. Release Date: December 7th, 2016. 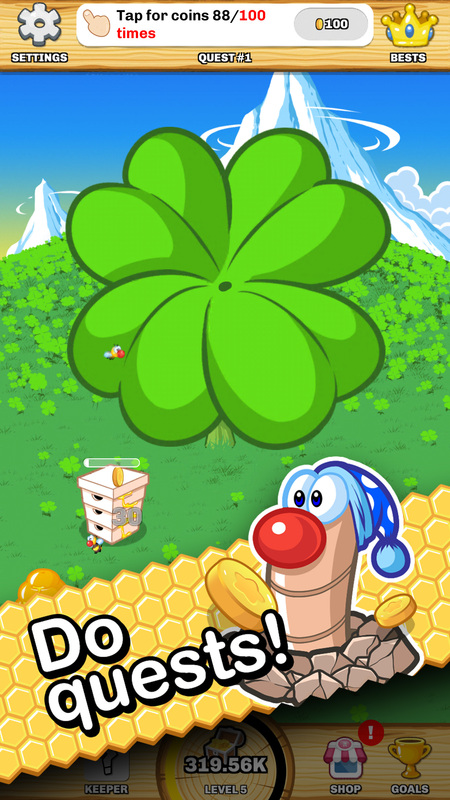 Honey Beellionaire is an incremental clicker game you plan to become the richest beekeeper of them all... Or shall we say, a BEELLIONAIRE! 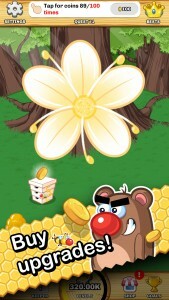 With its super cute, crisp graphics Honey Beellionaire will win your heart and fill your pockets with golden coins. 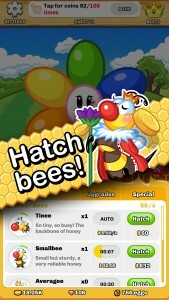 Hatch bees, buy upgrades, do quests, grab prizes, there is always something to do for a beekeeper. 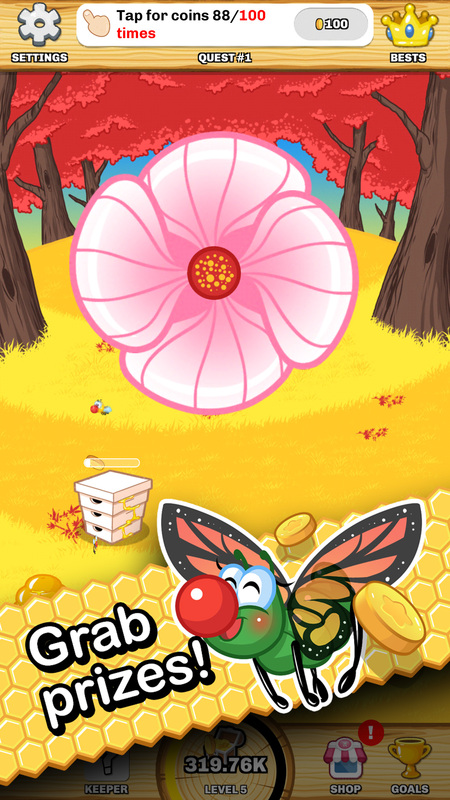 You can choose to click away and increase your earnings rapidly, or just lay back and let your worker bees do the coin gathering - they continue their work even if you close the game. Then use those coins to buy upgrades for your bees, to earn even more: the limit is the sky! Familiar, engaging gameplay with some unique twists that will keep you coming back for more, progressing each time a little further. 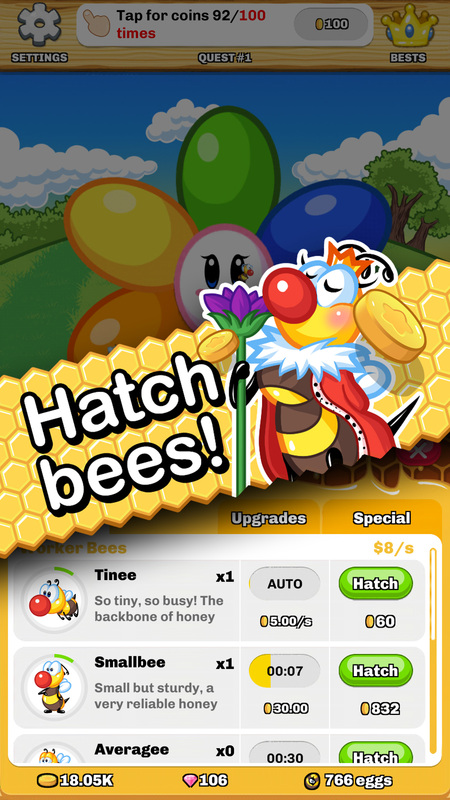 Casual players enjoy the simple pleasure of gathering coins and hatching bees, while advanced players will have fun trying to figure out the best strategies on using the various features to progress quicker. 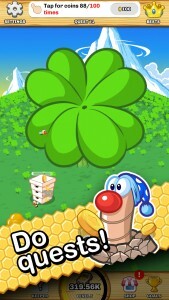 Eper Apps is a small indie game development studio that focuses on card games and entertainment apps. We are a small, easy going bunch of geeks. However, our serious and genuine goal is to make really awesome casual games that make you experience the zen feeling and help you transition into absolute tranquility and peace. We are really excited to develop games that we love, in hopes that you'll love them too.